How does an infamous former pop star and art-prankster react to the onset of middle age? Do you still have a mid-life crisis if you spent your formative years making massively successful pop records and carrying out increasingly bizarre art stunts? Alongside Jimmy Cauty, Bill Drummond was better known as the KLF (latterly the K Foundation), and with the arrival of his 45th birthday Drummond decided to compile a collection of his musings on life, music and fame. And, as one might expect from a man who saw fit to burn one million pounds of his own cash, he has more than his fair share of stories to tell. The early part of the book recalls the emerging Liverpool scene in the early 1980s, with Drummond managing and producing the Teardrop Explodes and Echo and the Bunnymen. From here he touches on countless subjects, from the predictability of everyday life through to his co-writing of Bad Wisdom with Mark Manning of Zodiac Mindwarp. 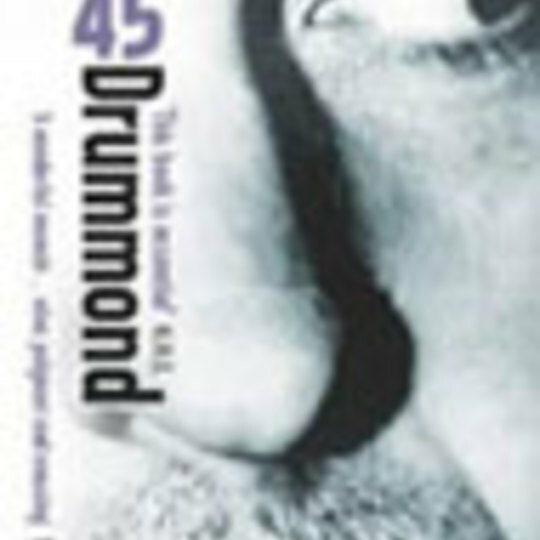 45 is neither a straightforward account of Drummond’s life or the story of the KLF, but rather a fragmented self-portrait constructed from what the author describes as “snapshots of the world from where I was standing”. In parts Drummond is deliberately obtuse; anyone hoping for further explanation of why the KLF saw fit to burn a million pounds will be disappointed, but in places the humility and honesty of the book mean that it reads almost as an open journal. The style and tone of the book changes with every chapter, encompassing the earnest and sincere as naturally as the flippant and irreverent. Unlikely as it may seem, the author’s description of Serbian anti-Milosovic protesters adopting Cauty and Drummond’s version of the Magnificent Seven theme sits comfortably just pages away from a description of a K Foundation stunt with cow carcasses. Drummond’s self-depreciating assessment of his life is endearing and entertaining without sounding like false-modesty. 45 should not be considered alongside the indulgent literary allusions of so many other musicians; aside from anything else, it is very well written and genuinely engaging. Drummond is not simply another has-been popstar reminiscing about past glories. Instead he has succeeded in creating a picture of himself that is in turns entertaining and intriguing.